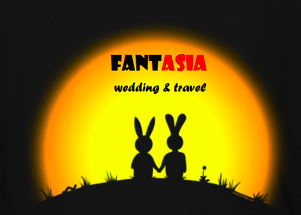 Fant-Asia Travel » Thailand Tours » Golden Triangle TourShow Me this Beautiful Picture! The golden triangle daily tour from Chiang rai. The most complete tour we can propose for North Thailand. 8.00am: Pick-up from airport or hotel in Chiang Rai and leave for a day-tour to one of the tribal villages of the Akha, Yao and Karen (long-necked women) ethnic groups, where it will be possible to see the traditionally-dressed tribal people – the men working in the fields, and the women weaving silk scarves on special framework. After the village, we go towards Chiang Saen. Pineapple-tasting stops along the way – farmer fruit stalls. Going along the old road from Chiang Rai to Chiang Saen, we arrive at Wat Phra That Pha Ngao, one of the most beautiful temples in northern Thailand. This temple is considered a monastery or retreat centre for men and women in search of peace. Very often, you can meet Thai people from Bangkok and other city areas, who want to evade the chaos, and spend some time meditating in the temple. 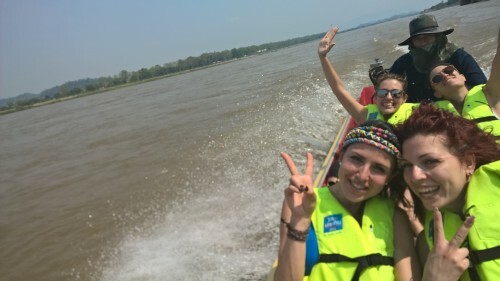 After lunch, a trip along the Mekong River by motor launch, up to Don Xao Island in Laos. No passport visa is required, only a daily entry fee of 30THB. Your passport is left with Thai Customs and given back to you upon return from Laos. A visit of the island and its markets, where you can find anything, from clothing to the most extravagant of articles, like cobra snake whisky or bottles with taxidermy scorpions. Return to the mainland. 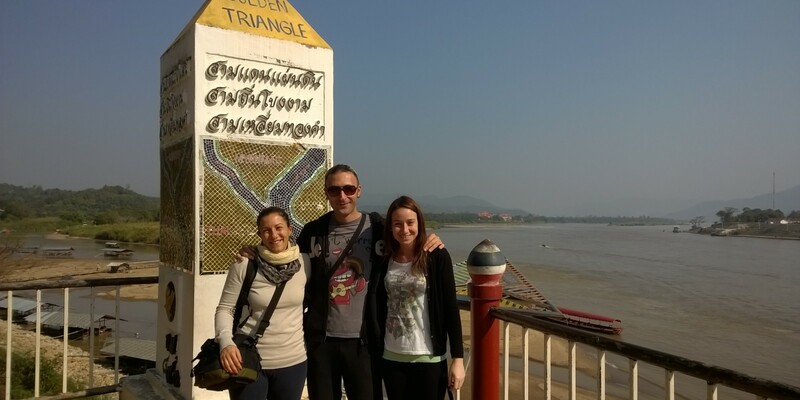 Here, the Golden Triangle border crossing area where three nations -Thailand, Laos and Mynamar- meet, is worth a visit. Published in Thailand Tours on 19 Mar 2014. TAGS: Chiang Rai, Chiang Rai Daily tours, golden triangle, Laos.